We recently released our list of 2015 Negative Capability Press Book Competition semi-finalists. We will be posting interviews with each of the candidates. Arpine Konyalian Grenier holds graduate degrees from the American University of Beirut and the Milton Avery Graduate School of the Arts, Bard College, New York. 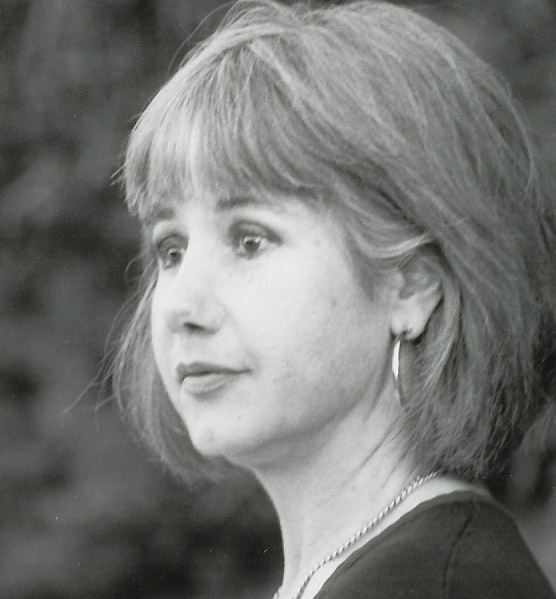 In addition to four collections, Grenier's work and translations have appeared in a number of publications including Columbia Poetry Review, The Iowa Review, Fence and Big Bridge. SW: Let us suppose we are somewhere chatting -- so where does this interview take place? In a coffee shop in some city? In a hotel lobby in Paris? In your kitchen eating chocolate chip cookies? You set the scene. SW: Let’s talk about your manuscript, The Silent G. Will you elaborate a bit on this quote: “I am after syntax that may help me embrace the world of now as survival alone is not enough”? This ode to tears (of an Armenian-American from Beirut, Lebanon, where a variety of religions, languages and nationalities coexist(ed) in a rare mixture of simultaneity and individualism) is seeking syntax that can sustain the world of languages, maintaining poetry at a threshold above which there is meaning and articulation, below which there is nothing but a cry of impaired and ungracious linguistic capacity, personal, regional and global. Therein lies investment returns from eternal lack of selfhood. Survival alone is not enough for me; more so because I feel I must not survive language anyway. SW: Two of my favorite poems in “The Silent G” are “At l’Exposition Universelle, 1889” and “After Weis,” please comment on one or both of these poems – or one of your own choosing. One day, when I, by chance, came across an 1889 dated French newspaper reporting the killings of the Ottoman Armenians, I noticed that year’s World Expo advertisement adjacent to it; above that was a seductive ad for tapioca. It seemed like the many aspects of the G were at my doorstep. I needed to work with the loss/spend/feel good/maim concepts the occasion presented. Science, technology and human logic needed to be revisited. Hence, “Appropriation follows appropriation/for lack of that some ever thing/missing since parsing … Bid yourself avail … willing is the telling … transpose into descent. Negoutyun is pain/pressure/tightness, in Armenian. (Negh is tight.) The forge of language insists, but always in birthing mode. (See Kurt Schwitters’ Ursonate, which recently had at the 69th Ojai Music Festival its Roland Auzet staged version’s premiere under the title, La Cathedrale de misère.) The word “weis” is layered for me as it comes from the German (a language I resonated to in my childhood because it felt more solid than the other languages surrounding me); “weis” also strengthens the concept of ‘we is’ for me. The latter soothes and empowers my personal and collective experiences stemming from marginalization. Orphaned discourse has ‘a place in the sun’, I say. Crime, fate, pathos, victim turn to experiences curiosity modulates. “We is you the weather”, it says. Someday I shall be spending the rest of my days at some assisted living complex, I gather. I want to claim that possibility with lament and rebellion, better yet, respectfully. How is that? Lord Oh Lord, what do I do then? But then selective memory will help me refresh, reboot, rest, xanaxed maybe JJ, until the heavenly bodies come for me, eh?? SW: What are some of your influences – books, movies, music and / or whatever else – art, travel, etc? Writers: Lorca, Desnos, Celan, Cioran, Derrida, Wiesel, Leopardi, Baudrillard, William Carlos Williams. Pagels, Feynman and Gellman in science. Composers: Bach, Scriabin, Mahler, Ung, Ziporyn, Kotche, Du Yan. Directors: Fassbinder, Angelopoulos, Mikhalkov, some Eisenstein, and Pulp Fiction. In Konya, a university student took me around where my father had been from. We had nothing in common except the words and expressions we shared, and the food. It was enough. We have stayed friends; that was almost ten years ago. SW: How long have you written? A little history, here. Thirty some years ago, I used to do research during the day, and music at night (jamming at recording studios). Feeling guilty for leaving my child with sitters and day care so frequently, I decided to switch to poetry (had just been to a reading by Eshleman at Caltech, had also spotted a poetry workshop notice on the Caltech Y bulletin board). That is how it started. I felt guilty quitting music at first, but decided that was best for my child because one could write poetry at home (there were no computers for writing music in those days). As I started getting published, my work seemed to expand. I decided to experience the liberal arts academically, to experience poetry doing that way (did not need the degree but needed the poetry folks in my face). I applied to UC Irvine and Bard College. Irvine negged me (I was in my fifties by then); Bard offered me a scholarship, so I went to New York. The Bard MFA program was/is an incredibly precious one. There, the poetry bug mushroomed and proliferated in me. The music creeped in, so did science. Doing poetry has been a way of living for me, for a long time now. SW: What is your job and how does it affect your poetry? For many years, I was in scientific research. At some point, I decided to work for a corporation in order to make more money to support my son (I was a single parent and had no other resource for him). In the corporate world, I did analytical research in legal and human resources departments; poetry took over whenever it could, but also regularly, especially at the coffee shop next to the laundromat my son and I visited on weekends. No one in the corporate world knew I did poetry on the side even though I was already having work published; I was private about it because in those days it would not have looked good to be an immigrant corporate female out there in suit and classy mien to also be a poet, too flighty or temperamental maybe? I am done with raising my son at the present, but still am a coffee shop addict. SW: How do you describe your poetry—important concerns, themes, pursuits? Beckett had said some things about writing; like, there is nothing to write about, no one to write to or for, but the urge to write. Avital Ronell has expressed similar inspiring views as well. I cherish both. Doing poetry, I feel like a retroactive being, dimming the future, shadowing the present, always with an eye to the past, to what happened, time and history abolished because of what escapes or survives the disintegration of experience. In a way, I am attempting to rid myself of mainstays and noodling brain functions telling me life’s not what all it was made to be, but it is something. Lament and rebellion serve me here as I approach my states of anonymity and confusion over history, identity and being alive. It feels like bearing witness to something with the body and place of an absent body, without the need to establish voice, like I am after a dialectic between feelings and experience, between identity and authenticity, after a patchy yet redeeming narrative. Compassion is the glue. Canadian writer Dennis Lee said, "But if we live in space that is radically in question for us, our voice becomes a problem to itself ... for voice emanates from civil space." SW: What can you share about your writing process? I am always writing, in my head, on paper, in dreams, walking, driving and so on. At some point the words or phrases land on actual paper, triggers (news, readings, nature, art, music, theater, human interaction) expedite or slow down the process. At some point, the poem starts to emerge; this always takes place in the coffee shop. At first, the poem feels naked and beautiful, but vulnerable too. I read it a few times, make changes then put it away. I feel good now; I feel I still can do poetry. Over time, the poems add up. I feel their weight; they need to be done with – aha – send them out, one by one or as manuscript. It is a dull but necessary process. That’s when I revisit them, one by one. More revisions, changes in the order, in the titles. If I am lucky, one full manuscript is completed in three to four years. SW: Let’s say you are teaching a workshop; give us a sample exercise / lesson. Each piece of work would be discussed with the above approaches in mind. SW: What are your thoughts on social media? Do you have a website? A blog? SW: What are you reading at the moment? Paul Virilio, Alva Noe (we share mind stuff), Akeel Bilgrami (we share heart stuff), Irigaray, Prigorine; it changes. SW: What is the view out your window? The view from my office window is that of northern West Los Angeles; some UCLA campus buildings and The Hammer Museum stand out against the sky in the background, so do tall corporate structures lining Wilshire Boulevard; closer to me are condominiums and apartment buildings, and many trees, palm trees and other gorgeous trees. I’d say I feel comfortable with the spread of the urban and the natural here. Thank you for being a part of Negative Capability.